*The following is the text of Pierpont’s keynote address before the “First International Symposium on the Global Wind Industry and Adverse Health Effects: Loss of Social Justice?” in Picton, Ontario, Canada, October 30, 2010. It is followed by a discussion of several other relevant talks at the symposium by Drs. Alec Salt, Michael Nissenbaum, Christopher Hanning, and Mr. Richard James. The latest research, as discussed below, suggests the following mechanism for Wind Turbine Syndrome: air-borne or body-borne low-frequency sound directly stimulates the inner ear, with physiologic responses of both cochlea (hearing organ) and otolith organs (saccule and utricle—organs of balance and motion detection). Research has now proved conclusively that physiologic responses in the cochlea suppress the hearing response to low-frequency sound but still send signals to the brain, signals whose function is, at present, mostly unknown. The physiologic response of the cochlea to turbine noise is also a trigger for tinnitus and the brain-cell-level reorganization that tinnitus represents—reorganization that can have an impact on language processing and the profound learning processes related to language processing. New research also demonstrates that the “motion-detecting” otolith organs of mammals also respond to air-borne low-frequency sound. Physiologic responses and signals from the otolith organs are known to generate a wide range of brain responses, including dizziness and nausea (seasickness, even without the movement), fear and alerting (startle, wakefulness), and difficulties with visually-based problem-solving. I confess I have an odd medical practice. I’m a pediatrician by training, but I’m fascinated by brains and development, and essentially practice psychiatry and child development. I’m interested in how to help children’s brains grow well, and, at the other end of the spectrum, in what derails normal brain functioning in normal people—like Wind Turbine Syndrome—and how to get that functioning back on track. So much of brain function is about the sensory systems—vision, hearing, touch—and what the brain does to take basic sensory signals from all over the body and turn them into a coherent picture of where this particular creature—oneself—is at this particular time, and what needs to happen next to meet its needs. Those needs range from the basic and physiologic—like breathing and pumping blood in the right amounts to the different parts of the body—to complex social and language-based needs, like figuring out what your spouse really meant by that last thing he said. Our sensory systems mediate all of these needs. Take, for example, tinnitus, or ringing in the ears—an important sensory problem in Wind Turbine Syndrome. Ringing, buzzing, sizzling, or waterfall noises—my study subjects described all of these, sometimes in the head as well as the ears. 58% of the adults and older teens in my sample of affected families had tinnitus. In the general population, it’s 4%. People with a prior history of hearing loss or industrial noise exposure were especially likely to get tinnitus, but other people in the study also got it, without these risk factors. Among people with tinnitus in general, many have damage to their cochlea, the snail-shaped organ of hearing in the inner ear. Because of this damage, many researchers have heretofore thought that tinnitus originates in the cochlea as distorted hearing signals—the cochlea being somehow able to produce nerve signals of sound without the sound being there in the environment. We are now getting quite a different picture of tinnitus. People with auditory nerves (meaning the nerve from the cochlea to the brain) that have been completely cut (for example, because of a tumor on the nerve) also have tinnitus, although, again, there is no input from the cochlea to the brain at all. Recently, functional imaging studies (like MRI or PET scans) of people with tinnitus have supported the idea that tinnitus arises not in the ear, but in the parts of the brain that process sound. The trigger is an absence of input from the cochlea or parts of the cochlea. Essentially, your brain makes up sound where no sound exists. It’s like phantom pain that people get when they have lost a limb. There is no nerve input from the limb because it’s gone; nevertheless, the person experiences the limb hurting. Tinnitus is like this—it’s phantom noise. It can be an excruciating and unpleasant sensation. What’s happening here is that the cells in the brain are making new connections, not good connections. It’s like chaos in the brain, and the result is hearing a noise that isn’t really there. Now listen to this story from Wind Turbine Syndrome.3 A real Canadian family, family A in my study. We’ll call them the Smiths. We’ll call them Frank, Marlene, and their 2½ year old boy, Justin. Frank, age 32, is a healthy fisherman who owns his own boat. Turbines, 10 in a row pointing at the house, the closest 1 km away, go online. For the first three weeks, Frank has repetitive popping in his ears, like pressure changes. After three weeks, a continuous headache starts whenever he’s at home. It resolves after several hours every time he leaves the house, and comes back within several hours of coming home. Several weeks after the headache started, tinnitus starts and worsens over the duration of the 5-month exposure, until the family abandoned their home and rented a house in town. Marlene, his wife, a 33-year-old accountant, likewise noticed repetitive popping in her ears for the first three weeks. She also noticed she couldn’t hear as well as before. After three weeks, the tinnitus began. The tinnitus continued and worsened over time during the 5 months of exposure, varying according to how much she was at home and how loud the turbines were. After the exposure ended, she told me, the tinnitus resolved, but she noticed a new difficulty understanding conversation in a noisy room. She noticed she had to watch the speaker’s face more closely. During exposure, young Justin, a healthy 2½-year-old, pulled on his ears and got cranky at the same times that adults in the family noticed more headache and tinnitus. His language development was good before, during, and after exposure, but his mother noticed during exposure that the child began to confuse T with K sounds and W with L sounds, which he had not done before. This sound confusion was ongoing six weeks after exposure ended, when I interviewed the parents. Let’s match the research to the clinical account—match medical science to this real family. These two adults experienced pressure changes in their ears for some weeks, one with some loss of hearing. They then developed tinnitus. The tinnitus resolved when the noise exposure ended, but Marlene still noticed subtle differences in her own auditory processing and in her child’s, Justin’s. Picking out one voice against background noise is an example of brain (or central) auditory processing, which means how your brain takes signals coming from your ears and puts them together into language, music, the song of a hermit thrush, or other recognizable and meaningful sounds. Hearing in background noise is one aspect of brain auditory processing, and one that audiologists often test. Distinguishing language sounds is another critical part of how the brain processes sound, especially for children learning language. So, what do we have? We have the New England Journal telling us that auditory pathways in the brain reorganize rapidly when there are deficits in the input from the ears, producing tinnitus. (Let’s not ignore that this “reorganization” represents deterioration in function—not an improvement. Contrast this to the process of brain organization that occurs as a child learns language.) We have this research on the one hand, and on the other, younger healthy adults telling us their observations of their own hearing and hearing-related processes as they passed through a substantial bout of noise exposure. I suspect that in a child as young as Justin, 2½, who was removed from exposure so quickly, this process is entirely reversible. But such effects are less likely to be reversible with older age or longer exposure. That’s a basic principle of how brains develop. I’m basing this interpretation of the Smith’s experience on the tinnitus research and also on another area of research—on the effects of other types of environmental noise (like airport or traffic noise) on children’s learning. Another study looked at the effects of noise on both reading and auditory processing in children who lived in an apartment building next to a busy highway. Auditory processing, again, is what your brain does with the signals from your ears to turn them into meaningful language or other sounds. In other words, the presence of noise in the environment degraded how these children’s brains processed language sounds, which in turn degraded their ability to learn to read. It wasn’t that the noise just kept them from hearing things they needed to learn; the noise actually harmed their brain’s ability to process language, even when that language was coming in through their eyes, as it does when we read. In my wind turbine study, 7 out of the 10 school-age children and teens did worse in school during exposure to turbines, compared to before or after, including unexpected problems in reading, math, concentration, and test performance, noticed by both teachers and parents. Teachers sent notes home asking what was wrong with the children. Subtle as these effects are, they have serious implications. Noise exposure, even at relatively low sound levels, fouls up the parts of the brain responsible for figuring out language sounds (what we call language processing) and the parts responsible for understanding and learning and remembering things we hear or read (what we call language-based learning). Let me emphasize: Noise exposure, even at low levels that don’t damage hearing, can do this. 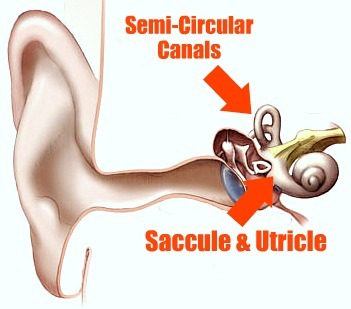 There is another set of organs in the inner ear, the organs of balance (called the vestibular organs), consisting of the utricle and saccule (the two otolith or “ear rock” organs, where microscopic stones control our perception of gravity and movement in a straight line) and the semicircular canals, which detect rotations of the head in three planes. The balance system is probably the least well known of all the senses for both the general public and physicians. It’s a different kind of sense. It has some dedicated organs (the vestibular organs in the inner ear, just described), but these organs do not function on their own, not without the cooperation (and brain integration) of multiple sensory signals from all over the body. We use this sense not just for balance (staying upright), but also for telling where we are in space and how fast and in what direction the different parts of our bodies are moving, at all times. The vestibular sense feeds back instantaneously, for example, on the eye movement muscles and on posture-maintaining muscles in the neck and back. It also adapts to gravity by controlling tension in the arteries and smaller blood vessels all over the body, and how hard the heart is pumping, to keep the blood evenly distributed whether you are standing up, lying down, or standing on your head. 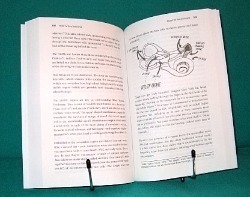 Balance and motion detection requires input from the eyes, from stretch receptors in the muscles and joints all over the body, from touch receptors in the skin, and, it is now known, from stretch and pressure receptors in and around internal organs and the great blood vessels in the chest and abdomen.10 As well as requiring signals from the inner ear—the utricle, saccule, and semicircular canals. This is a remarkable feat of brain integration, especially when the signals don’t all agree with one another. The brain has to figure out which signals to downweight or ignore if they don’t all agree, or if the signals from one channel are distorted. Even fish have otolith organs and semicircular canals. The cochlea, or specialized hearing organ, evolved later, our type specifically in mammals. The brain essentially grew up, through evolution, with vestibular neurons and signals already in place. As a consequence, our systems for detecting movement, gravity, pressure, and vibration have a protean presence in the brain, going everywhere, both in terms of what types of sensations they draw on, and how the information is used by the brain. In fish and amphibians, the otolith organs are much better detectors of low-frequency noise and vibration than are these animals’ own versions of sound-detecting organs.11,12 We now know that even in mice—a mammal—low-frequency, air-borne sound is detected by the otolith organs.13 In humans, detection of low frequency sound by the otolith organs has been shown only using bone-conducted sound, meaning a source of vibration placed right against the head. At 100 Hz, the tone of a moderately low note on the piano, healthy adults can detect a bone-conducted vibration at 15 dB below their own normal hearing thresholds, probably through the utricle.14,15 “Detection” in this case means that the vibration triggers an automatic reflex in muscles around the eyes or in the neck, a response that can only be due, we know, to vestibular stimulation. All this by way of saying that we are getting nearer to understanding the pathophysiological mechanisms causing Wind Turbine Syndrome. The symptoms of Wind Turbine Syndrome directly mirror the symptom clusters that practicing otolaryngologists have seen for years in patients with balance problems due to vestibular inner ear pathology.16,17 With vestibular pathology, however, the symptoms are not known to come and go with noise exposure. Very importantly, the symptoms associated with vestibular pathology are not just about balance or dizziness, as I’ll review in a moment. Indeed, the symptoms clinically reveal the linkages between the balance-processing parts of the brain, and cognition and memory—linkages only now being described through experiments and functional brain imaging. Over 90% of my sample of affected people, both adults and children, had cognitive difficulties during wind turbine exposure—problems that lingered and resolved slowly after exposure ended. These included difficulties with reading, math, spelling, writing, multitasking in kitchen and home, remembering a series of errands, maintaining a train of thought in a telephone conversation, following the plot of a TV show, following recipes, and following directions to put together furniture. Tellingly, Dr. Alec Salt, who will speak next on infrasound effects on the inner ear, has discovered experimentally that infrasound exposure causes temporary endolymphatic hydrops.19 This is a possible mechanism for the balance disturbances, tinnitus, headache, and cognitive problems of Wind Turbine Syndrome. So far, I have talked about how the absence or distortion of hearing signals from the inner ear affects thinking and learning at the brain level, and how distortion of balance signals from the inner ear affects thinking, memory, and concentration at the brain level. There is one more subject in this cluster of sensory/brain-function linkages, which I would like to discuss. The balance system is closely linked to emotions, especially fear, anxiety, and panic. When my foot slides on ice under some new snow and I fling my arms out to regain balance, I have a moment of panic. My husband has fear of heights for reasons directly attributable to his brain’s style of balance signal integration. I don’t, and love to sit on the edge of cliffs over the ocean, watching seabirds. When he sees me doing this, or if he gets near the edge himself or goes to the top of a tall building, he feels dizzy and nauseated (which are direct balance problem symptoms) and also panicked and irrational—afraid that he or I might fall or even jump off. In some studies of balance-anxiety linkages, up to 80% of people with panic disorder have measurable disorders of balance processing. The places where people panic are those in which they “lose their bearings,” so to speak, due to distortion of balance signals and their own brains’ particular style of dealing with distorted balance signals. Grocery stores have been always a big culprit. In my wind turbine study, 2/3 of the adult subjects (14 out of 21) experienced a highly disturbing collection of symptoms when exposed to high levels of turbine noise. They felt movement inside their chests, described as quivering, jitteriness, or pulsation, and then an uncomfortable urge to flee—to get out of there. Or, if the feeling awoke them at night, panic, with racing heart, a feeling they could not breathe, or the sense that there just had been an alarming noise—like a window breaking—and that they had to get up to check the house. None of these people had had panic attacks in their lives before. Several had histories of anxiety or depression, but altogether, among all the adults in the study, a previous mental health problem was not significantly associated with the presence of this panic symptom. What was associated with the panic symptom, with a highly significant statistical relationship, was a previous history of motion sensitivity. Even a tough cowboy from Missouri, a welder who raises horses, had this symptom awakening him at night near turbines. Once he and his family moved into town, he slept like a baby. No more panic awakening. (It was his wife who had to tell me about it, however.) Even the physician in my study had this symptom. Toddlers and preschool children in my study had a similar symptom—awakening in the night in states of high alarm and unable to go back to bed or to sleep. In short, noise impinging on the ear is not just about hearing, we are learning, but also about how the brain organizes itself around sound. 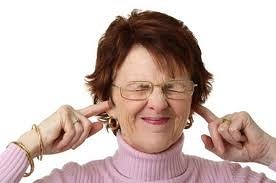 Wind turbine noise causes tinnitus in many exposed people. Tinnitus at the physiologic level is the result of a change in sound processing by the brain. Other types of environmental noise have been shown to impair children’s learning by changing how they process language sounds. Families exposed to wind turbines noticed deterioration in their children’s thinking and learning abilities during exposure. Adults also had problems with thinking, memory, and concentration during exposure. Other clinical and brain studies have shown that diminished thinking and performance are tied to malfunctioning of the vestibular portion of the inner ear. Distorted balance signaling has a close connection with panic and anxiety in a variety of situations, a linkage that may explain how panic in the night crops up in previously non-panicked but motion-sensitive people exposed to wind turbines. Professor Alec Salt is a cochlear physiologist, a laboratory scientist in the Department of Otolaryngology at the Washington University School of Medicine in St. Louis. He and his students study the fluids and physiology of the cochlea (the hearing part of the inner ear) in guinea pigs. For years, Salt and his colleagues have used infrasound to change the way parts of the cochlea behave—not because they were interested in infrasound, but because it has physiologic effects which are useful in their studies of cochlear fluids and cells. In the last year or so, Dr. Salt documented that the two types of sensory cells in the cochlea, the inner and outer hair cells, react differently to infrasound. The inner hair cells, which are the ones that send hearing signals to the brain, do not respond to infrasound, but the outer hair cells do. What’s significant for Wind Turbine Syndrome is Dr. Salt’s discovery that the cochlea does indeed respond to infrasound, and sends signals to the brain in response to infrasound, but the anatomy and cellular responses of the outer hair cells actively prevent us from hearing the infrasound. It’s worth emphasizing that Professor Salt is an outstanding educator, as is clear from his website. There is a lot to be learned here about the inner ear, complete with moving, colored, 3-D simulations. His recent research article is posted here, with a user-friendly discussion of its significance. There is also a link to the website of the National Institutes of Health, where his research is featured. He has also posted the slides from his presentation at the Picton conference on October 30. In his presentation, Dr. Salt compared measured wind turbine sound spectra, not only to the human hearing response curve (as the wind industry consultants do), but also to the separate response curves of the inner and outer hair cells, showing that wind turbine low-frequency noise and infrasound are easily detectable by the normal cochlea. He also demonstrates how A-weighted sound level measurements specifically exclude the low frequencies significant in wind turbine health effects, effectively demolishing the credibility of A-weighted noise measurements. Dr. Salt’s research is exciting and useful because it pointedly disproves the wind industry’s assertion that the infrasound produced by wind turbines is not relevant to human health because it is, they claim, below the hearing threshold of most people. On the contrary, the ear has a physiological response to low frequency noise at the intensities produced by wind turbines, even when this noise cannot be heard. A physiologic response opens the door, of course, to clinical effects. What is lacking is direct evidence for air-borne infrasound stimulating the hair cells of the vestibular organs. Dr. Salt told us in his conference talk that the vestibular hair cells are “tuned” (meaning, have their best response) to body-borne vibrations at infrasonic frequencies, but that no one has yet looked at the responses of these cells to “acoustic” (meaning, air-borne) infrasound coming in through the outer and middle ear. I suspect it’s only a matter of time—and short time, at that—before some research group shows air-borne infrasound stimulating the vestibular hair cells, or shows a human vestibular response to air-borne infrasound. I base my prediction in part on a new article Dr. Salt sent to me immediately after the conference, titled, “The vestibular system mediates sensation of low-frequency sounds in mice.”24 In it, the authors explain how the “ancestral acoustic sensitivity” of the saccule has been retained not only in fish and amphibians, but also, according to recent evidence, in birds and mammals. The authors demonstrate how mouse otolith organs respond to air-borne, low-frequency sounds below the detection range of the mouse cochlea. Mice jump when startled by a beep. 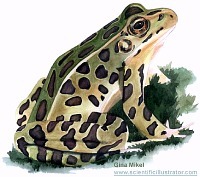 They startle more, with a more vigorous jump, in the presence of a low- or mid-frequency background sound. The authors measured this “startle response”—how much the mice jumped—quantitatively on little electronic platforms. Genetically normal mice jump more in response to either low- or mid-frequency background sound, but the authors also tested mice which, for genetic reasons, never developed the otoconia (little stones) in their otolith organs (utricle & saccule). Significantly, these otolith-deficient mice did the extra-large jumps only when the background sound stimulus fell within the frequency range of the mouse cochlea. They didn’t detect the low-frequency background sound stimuli the way the mice with functioning otolith organs did. Jumping mice. The authors of this study have demonstrated that mammalian ears, using their otolith organs of balance and motion detection, detect air-borne low-frequency sound at frequencies too low to be heard by their cochleas. This makes them startle more. Now consider “jumping people”—startled right out of bed in the middle of the night in the presence of sub-audible, low-frequency noise, or infrasound, from wind turbines. Evidence like this suggests the following mechanism for Wind Turbine Syndrome: air-borne or body-borne low-frequency sound directly stimulates the inner ear, with physiologic responses of both cochlea and otolith organs. Physiologic responses in the cochlea suppress the hearing response to low-frequency sound but still send some signals to the brain, signals whose function is, at present, mostly unknown. The physiologic response of the cochlea to turbine noise is also a trigger for tinnitus and the brain-cell-level reorganization that tinnitus represents—reorganization that can have an impact on language processing and the learning processes related to language processing. Physiologic responses and signals from the otolith organs tie into a wide range of known brain responses to vestibular signals, including dizziness and nausea (seasickness without the movement), fear and alerting (startle, wakefulness), and difficulties with visually-based problem-solving. The interaction between sleep and these ear-brain mechanisms is interesting. Wind turbines create a particularly disturbing kind of noise with high alert potential, Dr. Chris Hanning, a sleep specialist, explained at the conference. Our sleep is disturbed not only when we wake up completely, but also by subclinical arousals—in which the body and brain move into a lighter phase of sleep without waking all the way up. This type of disturbance requires even less noise than full awakening, but still disrupts sleep and its restorative properties for mood, memory, thinking, alertness, and coordination. People vary in how deeply they sleep, and how resistant they are to awakening or arousal by noise. We can reliably measure how much people are disturbed during sleep using questionnaires about their daytime functioning. Turning to noise studies around wind turbines, noise control engineer Rick James presented sound monitoring data showing the disturbing, high-alert qualities of wind turbine noise: high levels of low frequency noise and infrasound, and the pulsating quality of the low frequency noise and infrasound. Both the audible noise and the infrasound from turbines are subject to “amplitude modulation” (meaning, the loudness goes up and down)—a quality that adds markedly to its disturbing character. The arrangement and spacing of turbines in clusters also affects how much noise they make, because a second turbine, beating in the downwind turbulence of the first turbine, makes more noise. A word of caution, however. The term “Sick Building Syndrome” is associated most commonly with problems of indoor air quality (including particulates, allergens, infectious particles, solvent odor, and the amount of fresh air), and the syndrome includes irritation of the skin, eyes, and respiratory tract, as well as fatigue, headache, poor concentration, nausea, and dizziness.26 The latter symptoms are commonly associated with low frequency noise exposure in other contexts, whereas skin and mucous membrane irritation are not. In other words, although Wind Turbine Syndrome shares the noise-related aspects of Sick Building Syndrome, the two terms are not the same. Finally, Dr. Michael Nissenbaum, a Maine physician, presented results of a study of 79 adults living up to three miles from wind turbines in Maine, who completed (what are clinically called) validated questionnaires on sleep disturbance and general physical and mental well-being, divided into study and control groups based on distance from turbines. Dr. Nissenbaum found differences between the study and control groups in several sleep quality indices, and in the mental health component of the general questionnaire. Even more remarkable, when he pooled the data from study and control groups, he found a dose-response relationship out to about 5 km (3 miles) from turbines. Subjects up to 3 miles from turbines, whether they were initially considered to be in the study or control groups, showed effects on sleep and mood that varied directly with distance from the turbines, Dr. Nissenbaum reported. This is a valuable study. The surveys required information only about the subjects’ current state of sleep and well-being, without reference to the turbines. The impact of turbine noise is apparently seen much farther away than the 1.5-2 km minimum setback proposed by many researchers (including me), although there was a drop-off in symptoms beyond 1.4 km. The questionnaires did not sample the full range of Wind Turbine Syndrome symptoms, but provide a standardized and quantified measure of one important symptom—sleep disturbance—and of general medical and mental health in relation to turbines. Such is the state of Wind Turbine Syndrome research a year after I published “Wind Turbine Syndrome: A Report on a Natural Experiment.” As I said earlier, we have made substantial progress in figuring out the mechanism and other parameters of this industrial plague. It’s worth pointing out that, with one notable exception, none of this was done with government or industry or foundation support —either financial or moral support. Just the opposite, governments (at all levels) and the wind energy industry have actively tried to thwart this research. But—this pleases me immensely—it was accomplished despite their opposition. The exception being the National Institutes of Health, which funded Dr. Salt’s research. All praise to the NIH! A final word. For me, it was both sobering and energizing to talk, again, with victims of Wind Turbine Syndrome at the conference. At times, distracted by political and journalistic “noise,” I forget how serious WTS actually is. Separately, a man and a woman from different countries told me quietly of their thoughts of committing suicide. Both are older with good marriages and productive lives and adequate resources. One has been driven from her home by relentless nausea and vomiting, and the other is made ill whenever he returns home. While governments, the wind industry and its scientific and clinical hirelings, and the media continue to belittle and deny the experience of these individuals—Lord knows, the media is filled with denial, ridicule, and venom (Google “Wind Turbine Syndrome”)—I am reminded, once more, that the physical, mental, social, and financial consequences of this perfectly correctible condition are appalling. 1. Kandel ER. 2000. The molecular biology of memory storage: a dialog between genes and synapses. Nobel Lecture. Click here. 2. Lockwood AH, Salvi RJ, Burkard RF. 2002. Tinnitus. N Engl J Med. 347(12): 904-10. 3. 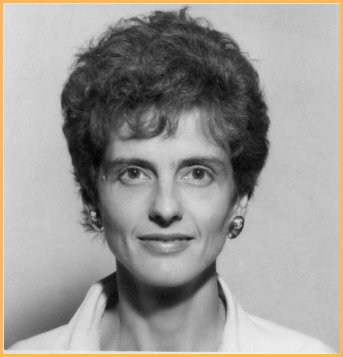 Pierpont, N. Wind Turbine Syndrome: A Report on a Natural Experiment. K-Selected Books, 2009, 294 pp. 4. Haines MM, Stansfeld SA, Job RFS, Berglund B, Head J. 2001. A follow-up study of effects of chronic aircraft noise exposure on child stress responses and cognition. Int J Epidemiol 30: 839-45. 5. Evans GW, Maxwell L. 1997. 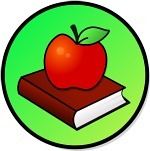 Chronic noise exposure and reading deficits: the mediating effects of language acquisition. Environ Behav 29(5): 638-56. 6. Hygge S, Evans GW, Bullinger M. 2002. A prospective study of some effects of aircraft noise on cognitive performance in schoolchildren. Psychol Sci 13: 469-74. 7. Cohen S, Glass DC, Singer JE. 1973. Apartment noise, auditory discrimination, and reading ability in children. J Exp Soc Psychol 9: 407-22. 8. Evans GW. 2006. Child development and the physical environment. Annu Rev Psychol 57: 423-51. 10. Mittelstaedt H. 1996. Somatic graviception. Biol Psychol 42(1-2): 53-74. 11. Fay RR, Simmons AM. 1999. The sense of hearing and fishes and amphibians. In Comparative Hearing: Fish and Amphibians, ed. Fay RR, Popper AN, pp. 269-317. Springer-Verlag, New York. 12. Sand O, Karlsen HE. 1986. Detection of infrasound by the Atlantic cod. J Exp Biol 125: 197-204. 13. Jones GP, Lukashkina VA, Russell IJ, Lukashkin AN. 2010. The vestibular system mediates sensation of low-frequency sounds in mice. J Assoc Res Otolaryngol 2010 Sep 4. [Epub ahead of print]. 14. Todd NPMc, Rosengren SM, Colebatch JG. 2008. Tuning and sensitivity of the human vestibular system to low-frequency vibration. Neuroscience Letters 444: 36-41. 15. 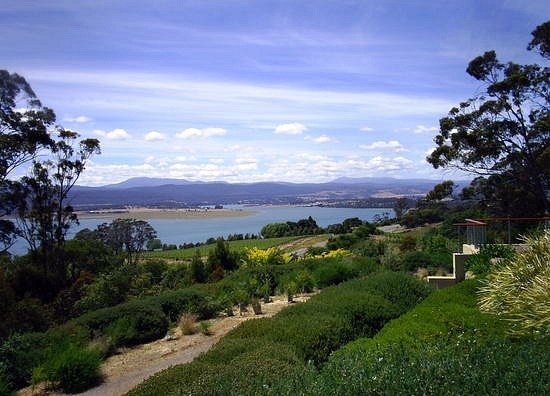 Todd NP, Rosengren SM, Colebatch JG. 2009. A utricular origin of frequency tuning to low-frequency vibration in the human vestibular system? Neurosci Lett 451(3): 175-180. 16. Grimm RJ, Hemenway WG, Lebray PR, Black FO. 1989. The perilymph fistula syndrome defined in mild head trauma. Acta Otolaryngol Suppl 464: 1-40. 17. Hanes DA, McCollum G. 2006. Cognitive-vestibular interactions: a review of patient difficulties and possible mechanisms. J Vestib Res 16(3): 75-91. 18. Grimm et al. 1989. 19. Salt AN. 2004. Acute endolymphatic hydrops generated by exposure of the ear to nontraumatic low-frequency tones. J Assoc Res Otolaryngol 5(2): 203-14. 20. Benson TE, Brown MC. 2004. Postsynaptic targets of Type II auditory nerve fibers in the cochlear nucleus. J Assoc Res Otolaryngol 5(2): 111–125. 21. Weisz C, Glowatzki E, Fuchs P. 2009. The postsynaptic function of Type II cochlear afferents. Nature 461(7267): 1126–1129. 22. Salt AN, Hullar TE. 2010. Responses of the ear to low frequency sounds, infrasound and wind turbines. Hear Res 268(1-2):12-21. 23. This field is reviewed in Wind Turbine Syndrome, pp. 72-99, 195-205, and 226-244. 24. Jones et al. 2010. 25. Persson Waye K, Rylander Right, Benton S, Leventhall HG. 1997. Effects on performance and work quality due to low frequency ventilation noise. J Sound Vibr 205(4): 467-474. 26. World Health Organization. 1982. Indoor air pollutants: exposure and health effects. Pp. 23-25. This summer I was a deputant to the Haldimand-Norfolk Health Unit at which I asked the Advisory Committee and the Medical Officer of Health [MOH] to take action on behalf of the ~ 70 who signed a petition saying they were affected by the 18 Vestas 1.65 MW IWT’s, surrounding their homes, all jammed in within a 3 km radius. The Ontario Health Promotion and Protection Act mandates that the MOH investigates the issue of such a large group suffering the effects from the IWT’s. A Municipal election at the end of October sidetracked committe agendas and meetings, so I will be making another deputation to ask for a progress report in the next month or two. I would like to bring to the attention of the H-NHU all the new information from the International Symposium and the email above. May I have your permission to do so? As soon as there is any progress from the Haldimand-Norfolk MOH, I will share the good news with you. Again, many thanks for all your help and care. Editor’s reply. Yes, absolutely, you have our permission to use any of Nina Pierpont’s material posted herein. I am grateful you have become dedicated to scientifically investigate the health effects of living in close proximity to industrial wind turbines. I am a physical therapist and have been involved in the medical field approximately 27 years. I realize that it is easiest to simply brush off complaints that don’t easily fit into our current knowledge base. Thankfully, there are clinicians such as yourself, who are still willing to dedicate yourself to using critical thinking in an attempt to help the clients who entrust themselves to you as a medical expert. Critical thinking takes a great deal more effort and cognitive power, but is what is needed to make discoveries that we all may benefit from. To do this in an arena where an industry, with big money at stake, is in opposition to your findings makes it an even greater challenge. My husband and I have become involved in researching industrial wind energy as a company is trying to put about a dozen turbines within 3/4 of a mile from our home. We have spent over a year investigating wind and have become strongly opposed to it for our town as well as our country. I wanted to be sure you were aware there are many rational people out there that very much appreciate your diligence in investigating the health concerns industrial wind poses when introduced to rural communities. Editor’s reply: Thank you Barb! And Nina thanks you, too. It’s gratitude like yours that keeps her going! God bless you, my dear. In Kodiak, Alaska, our local planning and zoning committee has granted our school district permission to place a 60+ foot Skystream 3.7 wind turbine in our middle school playground that doubles as a parking lot and the site/sound survey encompases two houses –one being our home. I’m not happy with this. I believe in renewable energy, but I don’t agree with placing it in the children’s space nor do I agree with placing so near a residential area. I would appreciate suggestions on where to turn to to locate supporting evidence. 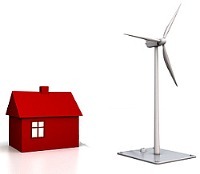 The council of the region in which I live has received a first application for installation of a wind turbine. The council has called for a public response and I would like to quote your articles in my reply. May I have your permission to do so please? Editor’s reply: Yes, absolutely, you may use Nina Pierpont’s articles in any way you wish. I AM HAVING PROBLEMS WITH A TURBINE WINDMILL 1/2 MILE FROME MY HOME , I IS MAKING ME SICK BUT NOBOBY SEEMS TO CARE, I HAVE TALK TO THE POLICE, SHERRIFF AND CITY HALL ALL THEY TOLD ME WAS THE PEOPLEWHO HAVE THE TURBINE HAVE THE RIGHT TO HAVE IT BECAUSE THEY HAVE A PERMIT TO HAVE IT. SO MY RIGHTS AND MY PEACE IN MY HOME DON NOT MATTER. ICAN NOT SLEEP I HAVE EARS PROBLEMS BECAUSE OF THE SOUND IN MY PILLOW, AT NIGHT ALL I HEAR IS A RUMBLING SOUND, LIKE A BOOT IN A DRYER. MY HEAD HURT, I JUST DO NOT FEEL GOOD AT ALL,I FEEL THE ONLY THING LEFT TO DO IS LEAVE MY HOME THE HOME I HAVE LIVE IN ,IN PEACE FOR THE LAST 10 YEARS. NOW I HAVE NOTHING BUT MISERY AND UNHAPPYNESS. I know how you feel. We have a very similar problem with a heating system in close proximity to our house that is causing the same symptoms that you are experiencing, basically severe WTS without the wind turbines. Whatever action you are considering, a first step is to secure your physical and mental health. WTS has quite some impact on your whole body but mainly on your brain. In order to function properly you need to minimize the impact of the low frequency noise and (ideally) recover from what damage has already been done. 1. Have the impact on your health & well-being documented by a good (understanding) doctor. 2. Talk to a lawyer whether you need to formally take action NOW (like letting the owners of the turbine know that you are directly affected by the sound and that it is not a “nuisance” but affecting your health). Find out if NOT ACTING now might weaken your weaken your position in a future lawsuit. A good lawyer doesn’t have to be expensive. Find out what other ways exist to get legal advice. 3. If possible limit you exposure to the noise (I am renting a flat in town so I can commute to work). 4. Have an audiologist make earplugs that fit you ear. Tell him that you need to block low frequency noise & infrasound and that they should be designed in a way that you can sleep with them. After a few days you will get used to them. Ear protection is one of the best ways to lower the effect of infrasound on your ears & brain. 5. Find people who are suffering from WTS as well. I did that and it helps me a great deal. I gives me confirmation that I am NOT crazy, that I am NOT making this up. WTS is REAL. 6. If you team up you might be able to share the cost for legal advice. 7. If you are diagnosed with anxiety disorder, clinical depression etc. (VERY common with wind turbine noise), make sure they write “caused by external noise” in your file. Otherwise mental problems might be excluded from future health insurance (don’t know how it is in the US, at least this is how it works here in the European Union). 8. If you are offered medication to deal with stress, depression, anxiety—I would say yes to it (you need to get back to normal so you can fight) but set yourself a limit of how long you want to be on medication. 9. Don’t let THEM determine what you do and when. If necessary, temporarily re-locate and build a strategy step by step. 10. Read and re-read Nina’s book. There is lots of information in there, for you, your doctor and your lawyer. 12. Write a diary about what your symptoms are, wind direction, weather, what you hear and how you feel and if the turbine is running or not … might help you to better document the impact the turbine has on your health. There was a case here in the European Union (Germany I think) where a guy won his right for undisturbed sleep: all the wind turbines in the wind park next to him need to be shut down for the night now! Nina Pierpoint’s paper is an excellent summary of the acute adverse responses which occur to those persons who are already sensitised by infrasound emissions. I could speculate on how sensitisation occurs, but this note only explains a likely process by which the ‘Wind Turbine Syndrome’ generates Annoyance. The ears are not involved. ‘Annoyance from Low Frequency Noise’ and the same sensation induced by wind turbines. My and my wife’s lives have been disrupted for ten years by sound and vibration emissions caused by collisions between the concrete frame in a neighbour’s house and our flank wall. That sounds quite straightforward. The problem should be capable of legal/insurance resolution – the collisions are clearly generated from the activity in his (large) water heating system. But the sound generated is inaudible as the heavy (two ton) concrete frame has impact frequencies in the 0-8 Hertz range. These collisions generate internal vibrations in the concrete beam with peaks at 50,100 and significantly at 200 Hertz. Resonance in the offending water cylinders has a fudamental at 400 Hertz and our house responds at 160/200 Hertz. Waking occurs when these house vibrations increase or decrease. The ‘Annoyance’ initially generated acute pain, a continuous loud pseudo-sound which was unaffected by earplugs; headaches; sleep disturbance and sometimes muscle vibration sensations. The lawyers said that there was no .K. Standard that could be used to require modification of the heating system to reduce the induced vibrations. The Insurance Company required a statutory nuisance before they were prepared to become involved. No sufficiently high leq levels were observed to demonstrate nuisance. Nor did sound (linear SPL) averages show any useful correlation between these emissions and the induced ‘Annoyance’ response. Annoyance is a response, personal to the observer. Therefore its existence and correlation with external stimuli cannot be proved without scanning. However, the magnitude of the Annoyance certainly has a 1-1 correspondence to the energy peaks in the impacting sound/vibration. Because these peaks are of short duration it has a very much reduced correlation with the average (linear leq) sound pressure levels measured over significant sample periods – and the only correlation with individual third octave bands was with magnitudes in the 160 and 200 Hertz bands. There is however a direct relationship between the variations in the total rate of energy loss from the vibrating structure and the perceived magnitude of the Annoyance. ( The energy loss is related to the rate of change of the square of the velocity of the colliding concrete and this analysis is also used to demonstrate the frequency of collisions). As the rate of energy emission from the (water tank) source changes, so does the equivalent energy loss from the structural vibrations and the Annoyance magnitude responds immediately. A continuous record from 04:00 hrs to 07:30 hrs shows sharp fluctuations at times precisely when the Annoyance level changes. The peak energy discharges occur at each collision and are very much shorter than the 100 millisecond periods conventionally used for vibration assessment. I have generated the energy patterns using the Linear leq values from 5 and 20 millisecond periods and combining those with the peak values within each period. This data is all obtainable using commercial software. i.e. [d/dt(velocity^2)] (Using averaged values for a*da/dt as a proxy) in the oscillating concrete beam can be calculated. My Annoyance sensation is monotone – like a diesel engine idling in the distance. It has magnitude and texture only. Both my and my wife’s continuous annoyance occurs at about 174 Hertz. The Annoyance response frequently occurs simultaneously with audible sound. 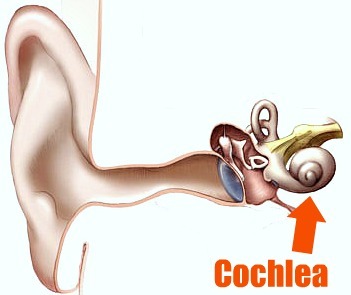 Adding ear plugs prevents airborne ‘sound’ reaching the cochlea. The Annoyance sensation is not affected by this blocking of the ears. There is no tone or magnitude change in the perceived Annoyance. Further, if the ears are left unblocked during a vibration induced Annoyance session then adding a speaker generated audible sound at 174 Hertz does not increase the Annoyance magnitude. It is worth noting that the Annoyance sensation is similar to that reported as being induced by a 200 Hertz vibrotactile probe acting on the skin (usually fingertip or lips). Because of this similarity in responses, and because of ‘masking’ and the earplug effect, I am convinced that Annoyance is generated as a response to energy pulses reaching some or all of the touch sensors in the skin (mechanoreceptors). In various forms these occur throughout the skin with concentrations in the fingertips, face and ears generally and intestine. They ‘fire’ i.e. discharge to the nerves given a sufficient energy input, either from physical vibration or from sound. The most numerous (Pacinian Corpuscles) and were established in 1959 to have a finite recovery period of about 6 milliseconds (5.75 milliseconds corresponds to my observed annoyance at 174 Hertz) before being able to fire again. Repeated sound energy pulses spaced at just longer than the recovery period would cause synchronised repetitive firing and across the exposed skin. Werner Loewenstein established in 1959 that his test tissue responded to lower levels of stimulus once in repetitive firing mode. It seems quite possible that the PEAK energy values from ~200 Hz. sound emissions could be sufficient to maintain repetitive firing. ‘Masking’ sound would disrupt this synchronisation. If this somatosensory response is confirmed as the mechanism for generating Annoyance, then an automatic consequence is that sound or vibration at frequencies greater than 180 Hertz (5.75 ms peak spacing) cannot generate annoyance. As a starting stimulus of greater energy is required than those needed for repetitive continuous Annoyance then it is no surprise that most Annoyance sites have a stimulus from ground or structural vibrations at Infrasound frequencies. Turbines generate energy pulses for a downwind observer as a result of the blade vibration emissions being first screened and then re-exposed as each blade passes behind the supporting tower. These energy pulses usually occur every 800 milliseconds and the resultant Annoyance can become very prominent particularly if conditions are misty and the sound energy transmission enhanced. Given a sensitised observer and suitable conditions then short periods of Annoyance occur at every blade pass. If there is then a superimposed sound with peaks in the region of 100-180 Hertz the conditions the conditions are then as forecast in the 1959 Pacinian Corpuscle research for repetitive firing. Annoyance would result from these synchronised discharges. In 2009 a team at Toronto University (Nangini, Ross, Tam and Graham showed that similar discharges are capable of producing steady state responses in the human somatosensory cortex. If it can be shown that the timing of Annoyance corresponds to these observed ‘steady state response periods’ then Annoyance will have been demonstrated to be generated by the skin mechanoreceptors. I have no skill, research budget or access to scanning equipment to enable me to confirm independently that my Annoyance (from building collisions, standing waves in pipelines and from Wind Turbines) does correlate with the impacting sound/vibrational energy – but I have “very little doubt” that that is the case. Isolated turbines cause greater fluctuations in sound pressure level than do groups. Therefore the energy emissions tend to be greater. Supporting column surface design might be important and rotor blades should ideally vibrate with higher frequencies than the critical 200 Hertz. Electrical transmission equipment should, in the vicinity of turbines, also be designed to emit sound only at higher frequencies than 200 Hertz. My worst Annoyance at a Turbine site was generated by an elderly group of three large diameter towers, turning in a in a force 5 wind and in sea-mist. I was some 500 metres from the nearest and some 50 metres from a step down transformer. No annoyance at all occurred at the same site on a dry day. The association between Annoyance and energy transmission seems always present.